Being the busy person that I am, I haven’t had much time to get out and photograph things these days. A lot of posts are old posts that I am going through because I had them on backlog. I have been seeing a lot of the city recently but I haven’t had much time to bring my camera. I also don’t really like going out at night as it means I’ll have to return to my home during the rush. Thankfully with all the parties that are happening in December, I had an hour to check out Shinjuku before a party and had a good time checking out the lights. 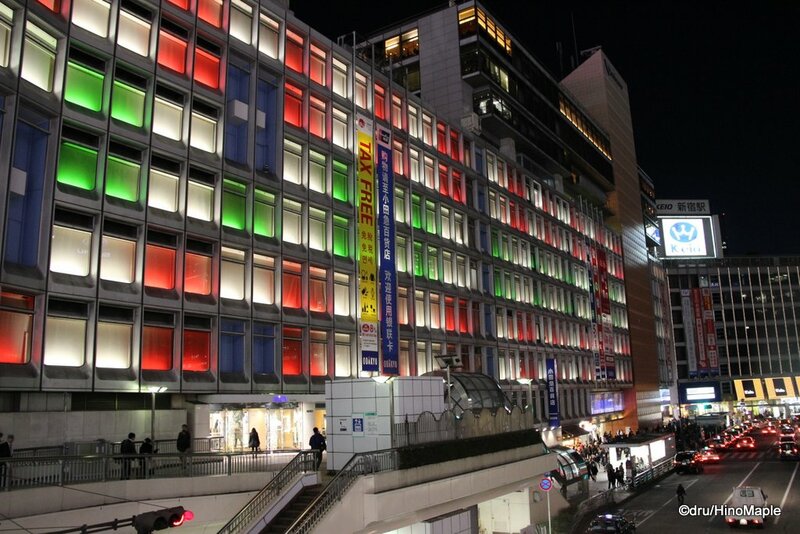 I focused more on the west side of Shinjuku and started at the Odakyu Department store. It was nice to see the front all lit up. Sometimes it isn’t very good looking but this year the windows were nice and clean and the lights fit the theme. Next up, I head up through My Lord, a subsidiary department store of Odakyu. It is also a good connection to get to the Southern Terrace Christmas lights. They always have a nice display of lights as you head up the slope from the west side. My Lord also had a really nice pink light tree at the main stage. You can’t see it animated here, but they had a starburst effect coming out from the title of the display. 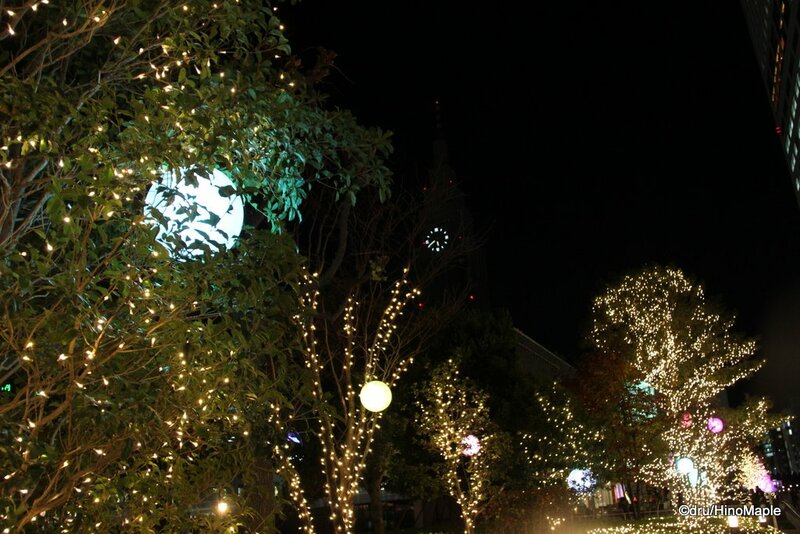 Shinjuku Southern Terrace is a wonderful place to be for the Christmas lights. The main trees are always magnificent and the lights are always fun. I spent a bit more time just wandering around this year. 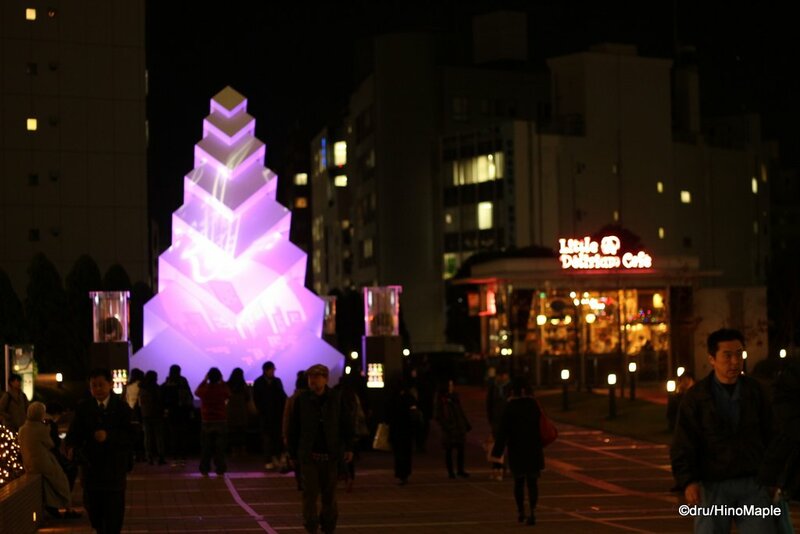 I took in the main light display between Krispy Kreme and Starbucks, when I usually skip that area. 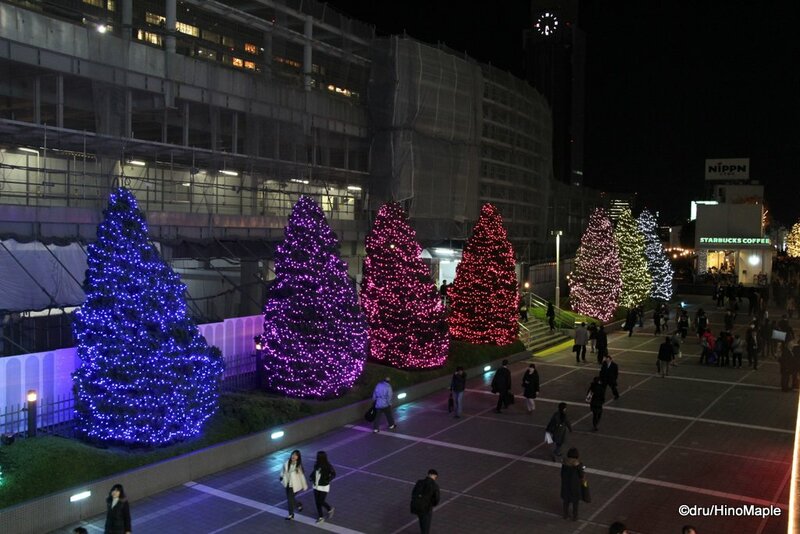 The main attraction for me is the JR East Christmas “tree”. 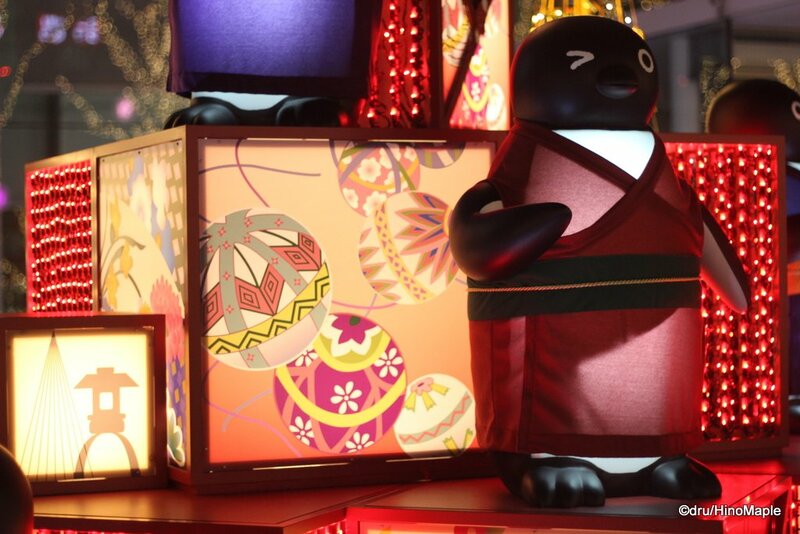 They usually have their Suica penguins out on display and this year was no different. They had some great penguins as always and featured the new E7 which came into service this year. Just past the main section of the Southern Terrace, near Eddie Bauer and next to the Delirium Café is a special tree. It is a kind of romantic tree as couples are supposed to touch 2 sensors at the same time and the tree will change colours to give their fortune. It is a strange thing to see but it is a nice tree. 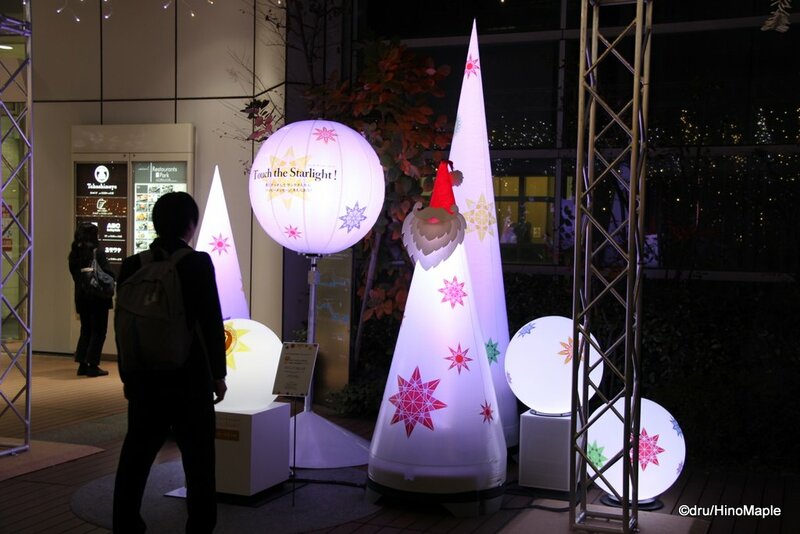 While not a particularly interesting area, the area in front of Takashimaya is having a small display as well. 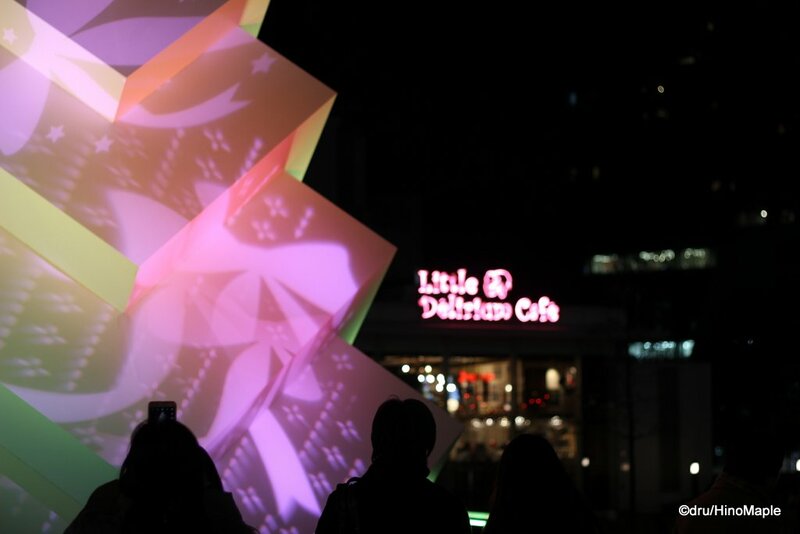 Coordinated with the Shinjuku Southern Terrace display, they also have a small tree that lights up and changes colours based on who touches it. 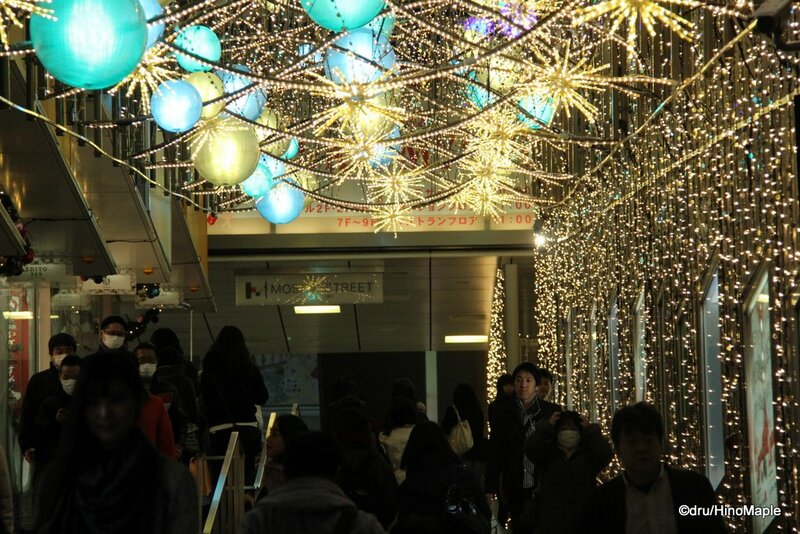 The entire area is a lot of fun to see and there are a lot of other areas you can visit to see the Christmas lights in Shinjuku and other areas of Tokyo. I hope to visit those areas and give you a look into them, but for now I’ll just leave you with this. 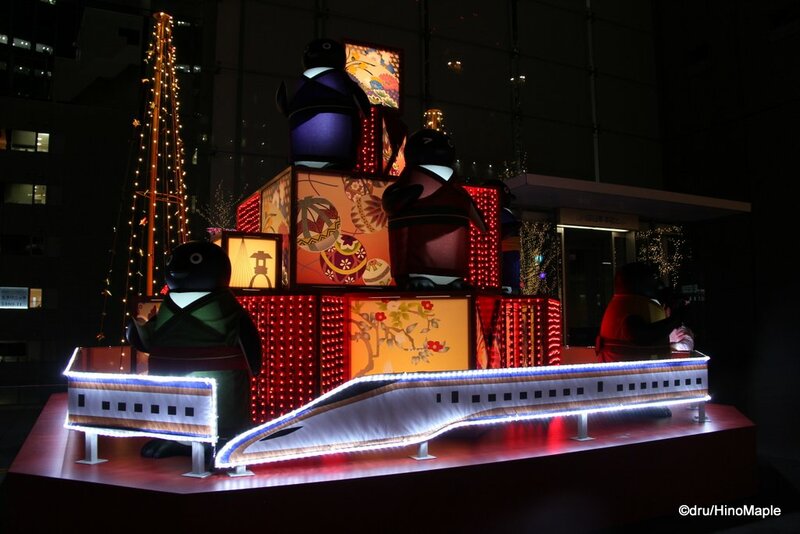 This entry was posted in Christmas, Tokyo and tagged Christmas, Christmas in Japan, Christmas in Tokyo, japan, JR East, My Lord, Odakyu, Shinjuku, Shinjuku Southern Terrace, Shinjuku-ku, SUICA, Suica Penguin, tokyo by Dru. Bookmark the permalink. I shamelessly chicken out. No Xmas lights. Too cold! I used to go hunting lights with my camera — wrapped in two ski jackets, three blankets and a coat — but I’ve decided, in good British English, “sod this for a lark, I’ll just look at Sky Tree”. 😀 Maaayyybe I’ll got to Marunouchi closer to Xmas, maybe not. I’m thinking to go to Marunouchi on Wednesday. You can join if you want, but I think you are working, no? 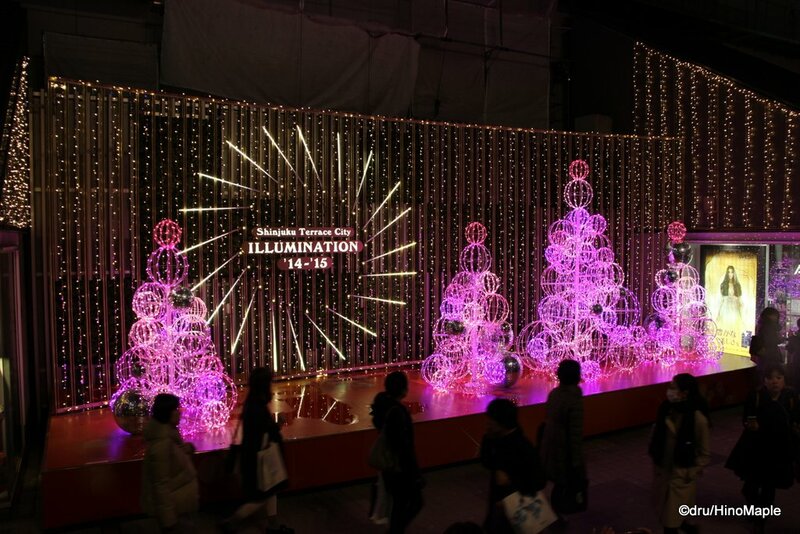 FYI, Marunouchi is full of Disney lights. Just an FYI. As for my lighting plans, going to also try for Tokyo Dome as it looks nice and Sky Tree, but I usually don’t do Sky Tree. Too lazy to go so close at night and don’t like cycling at night.